Although very interesting, if you are easily upset we recommend avoiding the final row in the specimen hall as it contains a number of human specimens with birth defects which can be quite disturbing. Given that the Charité is Berlin's oldest hospital, having been established on the order of King Frederick I of Prussia in 1710, it seems fitting that they have a museum on site. The permanent exhibition entitled 'On the trace of life' takes you on a journey through 300 years of medical evolution. At the heart of the exhibition is the specimen hall, a collection of anatomical and pathological specimens, begun by Rudolf Virchow, a 19th century german doctor, who is often referred to as the father of modern pathology. Nowdays the museum's collection has grown to over 10,000 specimens, with around 750 on display. Along with the specimen hall are also exhibits on ophthalmological and dental history along with a history of the Charité hospital itself. 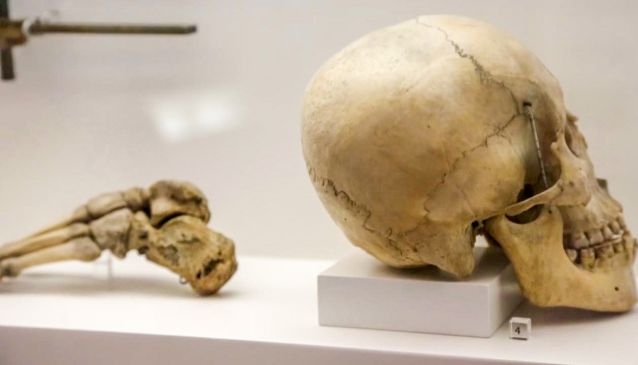 Due to the fact that there are many human parts exhibited, including numerous foetuses with severe abnormalities, admission is restricted to people over 16 unless accompanied by a parent or guardian.